Since its delivery in 2014 ISA Yachts flagship, the 66m Okto has received positive praise from the global superyacht community. With an unmistakable black hull, silver superstructure, axe bow and overall sporty exterior profile designed by Andrea Vallicelli, Okto is a gorgeous sight to behold. Upon first glance certain exterior luxury amenities are immediately noticeable such as the 6m swimming pool with a contra-flow current for swimming and jacuzzi. Okto also features a touch and go helipad. 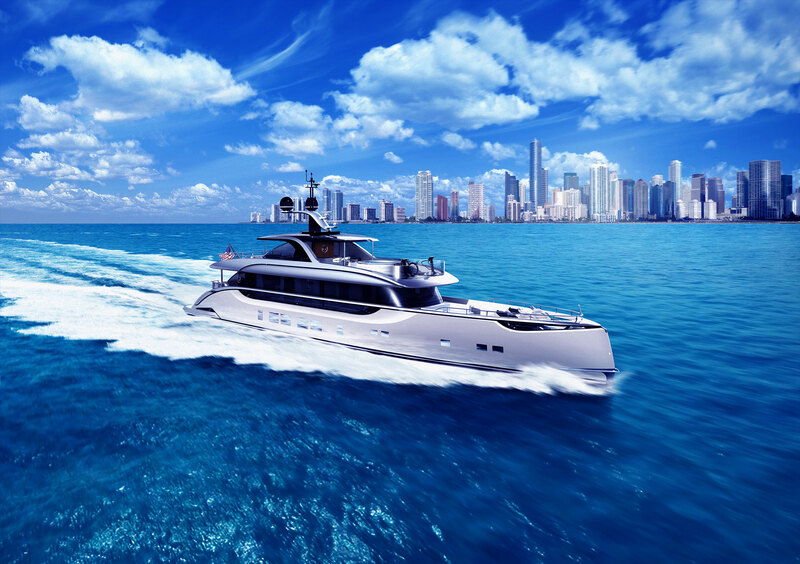 With a displacement steel hull and aluminum superstructure, powered by twin Caterpillar engines, Okto has a transoceanic range of nearly 7,000 nautical miles and a cruising speed of 13 knots. Stepping inside it becomes that there is much more to the superyacht than is immediately visible upon first inspection of the exterior.Designed by Alberto Pinto the interior is flooded with natural light thanks to the prominence of large windows throughout and 5m sliding glass doors. The general layout features luxurious accommodations for 10 guests in five cabins and additional accommodation for 17 crew members. The large skylights forward that are visible from Okto’s exterior aid in bringing copious amounts of natural light to the master stateroom and can be closed as desired. On Okto’s top sundeck the on-board gym occupies an observation room with one of the best views to be had anywhere on-board. Of course, there is an elevator to assist in getting around the multiple decks. The on-board cinema is on the bridge deck and offers incredible views of the sea when not looking at the 100+” TV. 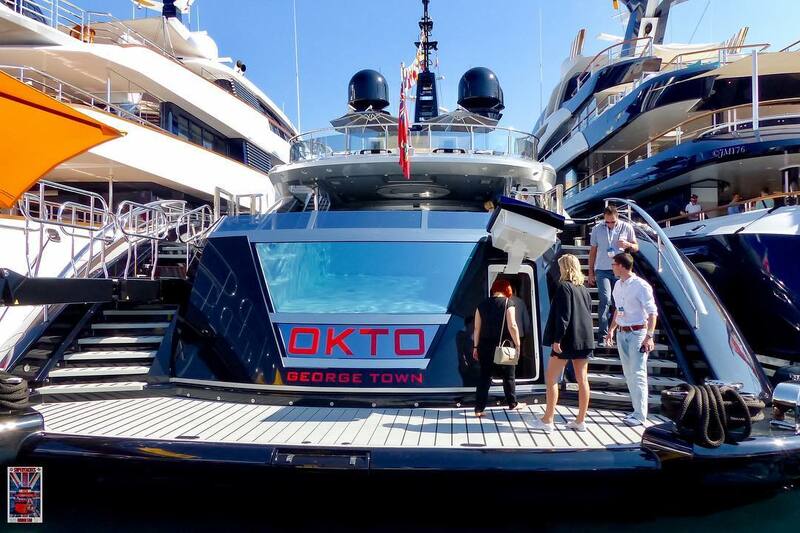 Okto also includes two separate tender garages: one in the bow and one in the stern. Each garage houses two tenders, the largest of which is a 7.5m (25′) Dariel jet drive tender and the smallest is the 3.5m Lancer inflatable rescue boat. There is also a 5.5m (18′) Dariel jet drive tender and a 6.6m (22′) Nautique watersports boat. With such a vast selection of tenders and luxury amenities Okto is a great example of how much technology and innovation can be packed into a 66m build.